Deb’s note: This is part three in our “Freelance Writer’s Guide to Social Media Series.” Also see: The Freelance Writer’s Guide to Twitter and a Freelance Writer’s Guide to Facebook…and stay tuned for the accompanying ebook. It almost seems as if everyone who writes for a living has a blog about writing, doesn’t it? That’s not a bad thing as it gives us plenty of places to share ideas and learn. Even writers who don’t have blogs can benefit, though. In this”guide” we’re going to take a look a the different ways blogs and blogging benefits freelance writers. You don’t have to be a blogger to take advantage of the benefits of blogging. Another writer’s blog still offers a terrific opportunity to market yourself and participate in discussion topics. There are so many blogs about writing and freelancing and freelance writing that I lost count several years ago. Choosing a favorite blog can be tough – and really you shouldn’t have to. The beautiful thing about blogs is that you can read as many as you like and participate in as many communities as you like and it’s all good. Blogs are one of the best ways freelance writers can network, learn and share with other like-minded people. Commenting at some of the blogs allows you to contribute your own point of view. You don’t even have to have the same point of view as the blogger as long as you’re respectful in your disagreement. When you comment, you might notice a spot where you can add a link to your own blog or website. This will encourage others in the community to visit you and see what you’re up to. (Please note: It’s considered spam to drop your links other than the requisite link line and most bloggers don’t appreciate the spam.) Commenting on blogs puts you on other people’s radar. If they’re intrigued they’ll want to learn more about you and your writing . Many bloggers will add some fun bells and whistles to their blogs to help promote their commenters and built community. Comment luv is a plugin which will bring up your latest blog post every time you comment on a blog that has this plugin enabled. The beautiful thing about this plugin is that other commenters will see the title of your last post and stop by and check it out if there’s an interest. It’s a nice way to give something back to the community. (And I will be adding it here soon). The Top Commenter plugin allows the most productive and vocal members of a community to have their comment count highlighted in the sidebar. How does this benefit the commenter? If folks are interested in reading your comment, they might also be interested in reading your writing or following you on the various social networks. Sharing buttons allow the community to give back to the blogger by Tweeting, Digging, Stumbling and sharing individual blog posts with people outside the immediate community. There are other reasons to visit blogs, beyond the usual freelance writing blogs. Say you’re working to build up your expertise regarding lawn mower repair. By participating in lawn mower repair communities and blogs, you’re helping to create awareness around your name (and brand), and build your reputation. If you’re helpful and productive others will respect your advice. Each blogger offers brings something else to the table, so find the ones that share your point of view, but don’t discount the ones you don’t always agree with as they also offer good, solid advice. The important thing is to remember we all have our own way of thinking and no one is right or wrong. Read the blogs you like and make the choices that work best for you. You’re not wrong for not following a blogger’s advice. 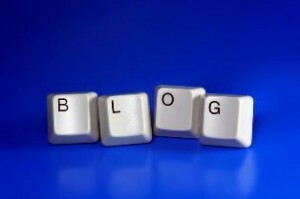 Blogs help to build your brand, your name and your reputation. They start out slow at first but after time you’ll notice loyal readers are coming back for more and participating in the comments. Soon your name becomes synonymous with your niche. Your readers begin to your judgment and come to you for advice. Clients see and feel this trust as well and may inquire regarding your services. Are you feeling niche-y? Use your blog to establish your expertise in said niche. You can discuss the finer points of journalism or resume writing. Argue copywriting techniques or discuss your trials and tribulations as a novelist. When you’re considered an expert, you’re contacted for interviews, speaking engagements and very lucrative gigs. Blogging allows you to share what you know wish others – and it also allows others to share with you. Without trying to be too cliche, it really is a gift that gives and gives…to everyone. Things like healthcare and pay rates are always of issue to freelance writers. Blogging gives you a bandwagon in which to discuss the issues you’re passionate about, and it also allows for some respectful round table discussions regarding many different topics. Blogging allows you to raise awareness and turn others on to your point of view – while seeing a few other sides of the coin yourself. When you blog, you’re building up a community. Whether it’s 10 readers and commenters or 10,000 these are the people who will buy your books, attend your classes and promote your stuff using social networks – and of course you’ll do the same for them. Blogging is also the best way to build up a community to create awareness around an issue or topic. Do you prefer to blog or read blogs…or both? How has blogging or participating at another blog helped you as a freelance writer? If you’re making the switch to freelancing, it’s easy to miss some of the details that go along with completing your taxes. 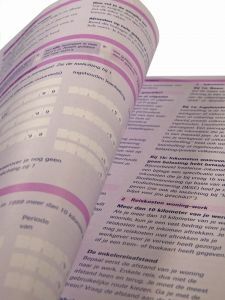 There are some major differences in the paperwork if you’re working for a company or if you’re self-employed. While there are plenty of ways to save money on your taxes or even make them easier to complete, there are some nuts and bolts that every freelance writer should know. As a freelancer, you don’t have a boss — which means that you don’t have anyone handling your taxes during payroll. You’re completely responsible for making sure that your taxes get paid. In the US, the IRS has created a system where anyone who is self-employed submits tax payments every quarter. The amount is based on how big your tax liability was on last year’s tax return, although if you’re making more money this year, the IRS expects you to bump up your payments. Not getting those payments in on time can result in penalties, although some freelancers may have a little more room to maneuver. If you have a job where a certain portion of your paycheck gets withheld for taxes or it’s your first year freelancing full-time, you may have a little more flexibility. Any US-based client you work with probably will be reporting the money they’ve paid you to the IRS with a Form 1099, which is used specifically to report income paid to anyone who is a contractor or otherwise self-employed. You will receive a copy of any Form 1099 submitted by the beginning of March, so that you can use it to complete your own taxes. Unfortunately, it isn’t impossible for a client to send you an incorrect form (or forget to send you a form entirely). It’s important to double check each Form 1099 against your own records to make sure that the information is accurate. As a freelance writer, you can write off any necessary business expenses as deductions on your taxes. Whether you had to pick up a new computer or you pay for a phone line for your business, you can reduce the amount of money you are expected to pay in taxes by claiming these deductions. You can even claim a portion of your home expenses (like your utility bills and rent) as costs of doing business as long as you have a dedicated home office. We’ll be getting into the gritty details of claiming taxes, reducing the amount of taxes you have to pay and the typical tax problems freelance writers can run into. However, I need to offer a disclaimer: it is important to remember that everyone’s tax situation is different — in order to make the right decisions about your own taxes, it’s important to talk to a tax professional who can walk you the specifics of your own tax situation. 1. Not Proofreading: It should go without saying that any one seeking any job opportunity should proofread cover letters, resumes and writing samples not just once, but twice, thrice and however many more times to ensure there are no errors. If you need a second pair of eyes to go over your paperwork, ask a friend to help out. 2. Not Enough Information: I can’t tell you how many times I received cover letters saying only “My resume is attached”, “My experience speaks for itself”, and even “Google Me”. Don’t be that guy. You don’t want to rehash your resume but you don’t want your potential client to wonder who you are and why he should hire you either. Your cover letter, which is really your job application, should briefly touch on your career as well as a paragraph telling the employer why you’re the best candidate for the job.